If you’ve already invested in lots of Blu-ray discs, you may wanna watch your favorite Blu-ray movies in a more convenient way without a Blu-ray Player. While, as you see, no matter PC, tablet or smart phones can’t support Blu-ray as source media. Considering all above factors, transforming Blu-ray to DivX AVI is absolutely a good choice. An simple and efficient program to decrypt the Blu-ray and convert the content to AVI file format on your hard drive with original quality. Here, you need a Blu-ray to DivX AVI Converter – Pavtube BDMagic. This converter can rip and copy Blu-ray to DivX AVI without quality loss and can get fast conversion with NVIDIA CUDA/ AMD GPU acceleration technology. Its spupported OS includes Windows 2003/XP/Vista/Windows 7/Windows 8/Windows 8.1/Windows 10. (More reasons for choosing BDMagic). Launch the Blu-ray to DivX AVI Converter. When the interface pops up, click “File” to import Blu-ray movie into the programme. If your movie has several language subtitles, you can choose the one what you want in the “Subtitles”. Click format bar and choose output format. 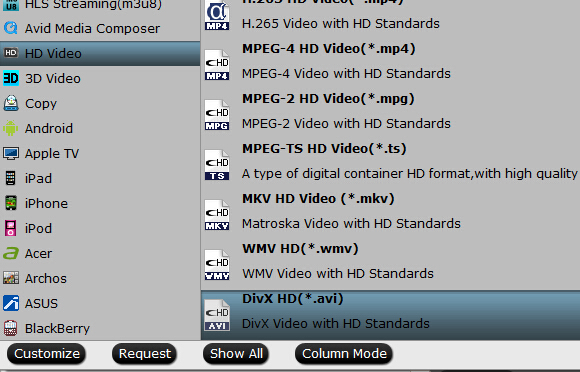 You can then choose “DivX AVI-Audio Video Interleaved(DivX)(*.avi)” from the Common Video drop-down list as the output file format. Finally, hit the big “Convert” button to start converting Blu-ray to AVI /DivX in 1080p high quality. When the conversion ends, you will be able to get the result video via tapping the Open button in the main interface. Afterwards, you can just put and play Blu-ray rips anywhere anytime for great enjoyment. 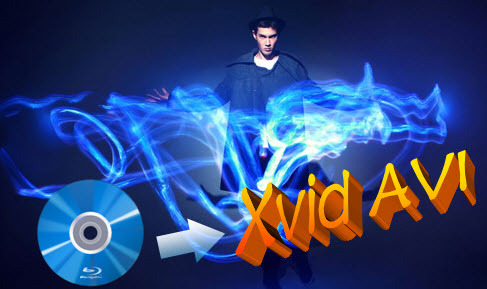 Although DivX AVI is regarded as the most suitable output format in Blu-ray conversion, you also can transform it to MP4, H.265, MKV, MOV, M3U8 according to your desire with Pavtube BDMagic. Note: Do you know there are more than 80% DVD owners will make digital backup of their discs, so need you if you have Blu-ray. It is sure that Blu-ray engineered with much stronger scratch proof than DVD, but as optical storage media, Blu-ray also need a backup. With around 4 times compression ratio, by converting Blu-ray to AVI, you can shrink 20GB Blu-ray movie to 5GB AVI file yet the quality loss cannot be noticed by naked eyes. Learn>> Backup 50 GB Blu-ray Movies to 25 GB.